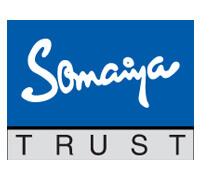 The K.J Somaiya Institute of Management Studies and Research is one of the reputed management colleges in Maharashtra that offers management courses at an affordable cost. It was established in 1981. The institute provides Masters, Post Graduation, and Doctoral level courses in management. The college courses are recognized by the National Board of Accreditation. The K.J Somaiya Institute of Management Studies and Research provides quality management education to students by facilitating them access to the modern laboratories, library, sports, research facilities, and clubs. There are canteens, shopping complex, and banking facilities within the college campus. A candidate should have done Graduation with a minimum score of 50% marks (or CPI 6.5) from a recognized college/ university. A candidate should have a valid MAH-CET 2018 score. There are 2 stages of the exam – MAH-CET exam and Personal Interview stage. A candidate should have done Masters with a minimum aggregate of 55% marks or M. Phil from a recognized college/university.